Pioneer Oil Refinery on Pine Street, Newhall; rear view (looking north), circa 1940. 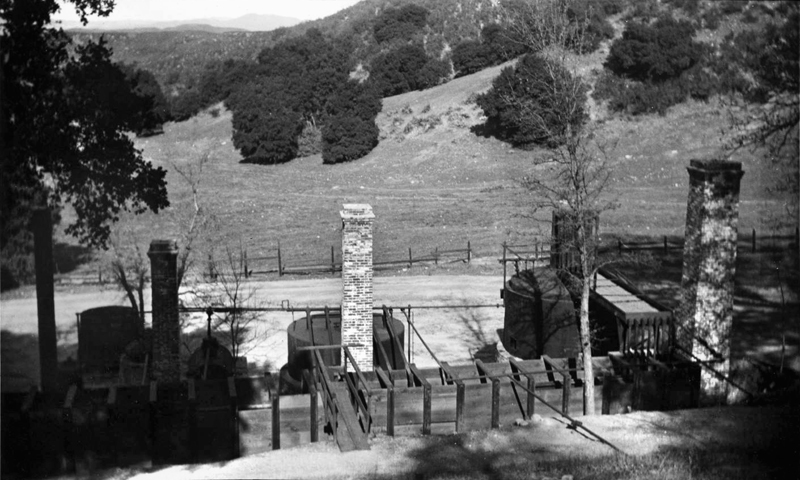 California Historical Society file information reads: "Photograph of a view of California's first oil refinery in Pico Canyon, Newhall, ca. 1940. In the foreground sits the refinery, a series of wooden structures with brick smokestacks, pipes and tanks. Across it lies a fenced field thick with grass and trees that trails off into the distance." 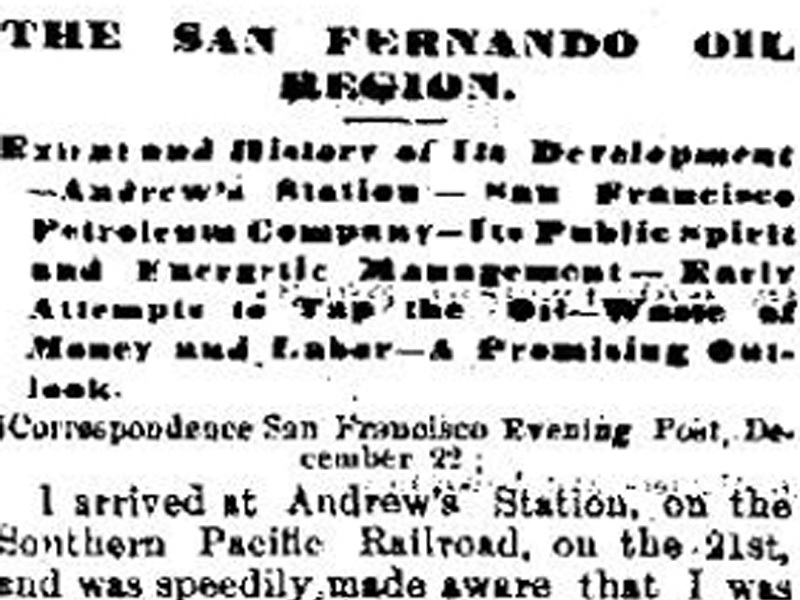 Note that the refinery isn't in Pico Canyon; it's in Railroad Canyon. It processed petroleum that was piped to it from Pico Canyon. LW2499: 19200 dpi jpeg from California Historical Society collection in USC Digital Archive.